Floyd Mayweather Daughter Iyanna is rooting to let everyone know her relationship with NBA YoungBoy is real. There's this swirling that both has slash tires. Amahiphop is exclusively reporting the new development from Iyanna who vocal out about the unborn break up folks are being hyp upon them. 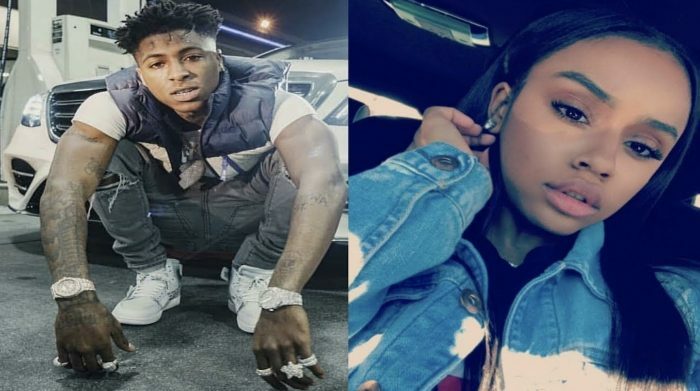 She just clapped back to those who things she had a run-in with the Baton Rouge rapper. Iyanna took to her Gram. account and prefess to NBA Boy. “People listen to this I don’t care who wants me, who want me bad, only one person got my heart, and that’s Kentrell mother***** Gaulden,” she said on IG Live from inside a club.